Oh no, you have diarrhea…again!! These are all symptoms that are typical of the celiac disease in children in particular. But what does it mean for a child to be diagnosed with celiac disease? Most depends on the age of the manifestation of the disease and then of the diagnosis. The new-born who is diagnosed at such an early age will have less problems because he won’t have any memories about how gluten used to taste. If we take a 5/6 years old child instead and we tell him that starting from tomorrow he can eat no more bread, pizza and pasta the way he is used to do, then, it can get more complicated. At this point of his life, we know that a child is conscious about the environment he lives in and he will start by asking questions why he cannot eat these things anymore. He could start feeling sick, not at ease, lonely and “different”. 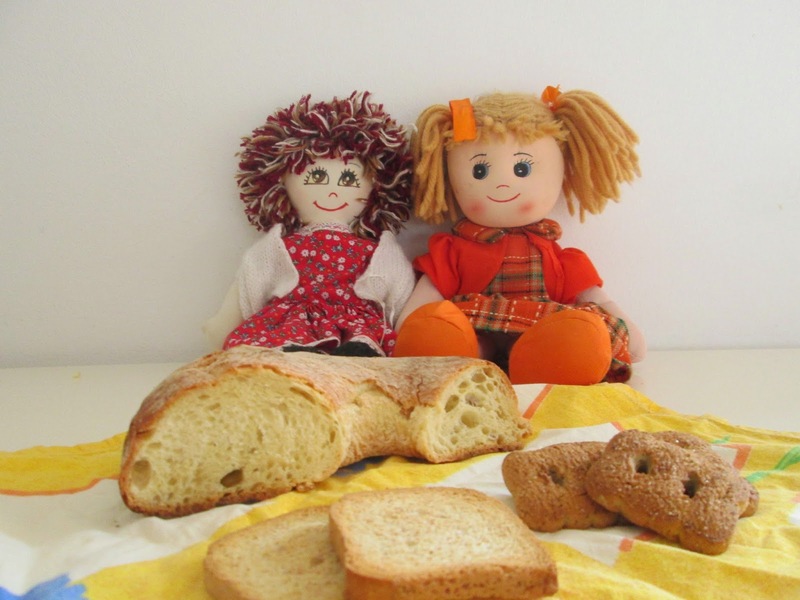 Telling children that they cannot eat some food anymore can be perceived as a constriction – especially considering that sometimes celiac disease can have little symptoms that are not that obvious so for the child will be a little bit harder to understand why. Parents have a key role and they should explain the reasons why and give children real and clear answers. When a child becomes conscious about a food allergy, he will start by accepting it and be responsible about it. Of course it is easy “on the paper”, we know that, this is why it is very important that parents show their children that there are still lots of great tasting foods that can be enjoyed and shared! Another important role is that of teachers at schools, and friends. Everybody should know about celiac disease in order to help the child have a smooth transition from one diet to another, without feeling excluded or “different” from the other children. Parents have to be vigilant. When a child starts to grow, he’s going to go out more and going out means going to restaurants, parties, trips, pizza places, the child needs to be aware of his health issues in order to be careful and take care of it in the first place. Society has a key role on that too this is why we created Baci di Dama. Living gluten free with the objective of spreading the culture that gluten free food is great, it can be eaten, share and enjoyed by everyone, people suffering from celiac disease and not. Our child has to become a confident adult and for that we need to help him understand clearly how to handle the situation and most of all showing that he can still have fun with other people and enjoy the food he eats. Support and love from the family are the best thing of all.